Halloween is just around the corner so let’s have some fun. Everyone I know is out there trying to save a buck or two in any way they can. Some of you have maybe even been referred to as a “penny pincher”. Some people may poke fun or complain about those who refuse to spend money for a good time but frugality really is an art. It takes a lot of self-discipline to budget to the level of a penny pincher, especially with all the convenience of shopping today; online shopping, click lists, memberships that deliver directly to your door, etc. The catch here is, many people engage in activities that they somewhere learned will save them money but in reality it isn’t. Let’s cover some of these so you can focus on the best ROI and make the most of your time. While a fan definitely makes you feel cooler, it’s a trick on your body. You see, unlike an air conditioner which drops air temperature and removes humidity, a fan is simply moving air at a faster rate which makes the air feel cooler than it truly is. This feeling is essentially a “wind chill” effect. Since you aren’t actually dropping the temperature, the thermostat is still going to kick on just as much as it normally would have to maintain the setting. The only real benefit to a ceiling fan is if you have a small apartment or 1 bedroom home where you are always in the same room and therefore having the fan on will make you feel cooler and you can set the thermostat down accordingly. However, a larger home isn’t quite as manageable. You won’t be in all the rooms at once so if you are comfortable with the fan on and go to turn down the thermostat, realize that you are altering the temperature in each of the other rooms. Then when you go to use them they will be less comfortable and you will adjust the thermostat back which makes the system turn on and work a little to get back to your original comfort zone; costing you money. The fan can also come in handy during the winter if you have taller ceilings. Remember to hit the switch and reverse the fan spin during the cooler months so that way you are now forcing air upward to the ceiling which forces that warm stagnant air to recirculate. Wall insulation is something that is installed when the home is first built, hides behind finished walls and homeowners are left assuming the job was done well. Certain builders are more meticulous than others but for the most part, “time is money” and there are small things that get missed. When it comes to insulation, small things present large opportunities. Air infiltration doesn’t need a large gap for it to plaque your home with poor Indoor Air Quality (IAQ) and temperature imbalances. You may be shocked to hear that the majority of homes built before 1980 have little to no insulation at all in the walls and even newer homes skimp on insulation since codes do not always call for the best R-Value possible. For instance, R-13 is the standard for 2×4 framed walls that use batted insulation (the pink, itchy stuff) but you could have upgraded to R-15. You could have also had the walls sprayed with foam or cellulose insulation for an even greater R-value. You can have your insulation quickly inspected with absolutely no construction required through the use of an IR Camera. This device allows you to see the heat loss in real time so you can uncover improvement opportunities. Sure you still have the exterior wall intact and then a layer of drywall on top of that but insulation really is what keeps your home comfortable; keeping all the unwanted air out and the indoor air in. Without this layer of protection, the outside elements will take a toll on your indoor living which forces the HVAC system to run more often. Many homeowners complain of hot or cold rooms and demand another supply to provide more conditioned air (all of which costs money in material and labor) when, they unknowingly, have a break in their thermal envelope. Adding an additional supply in this scenario will not only cost you in material and labor but it will not resolve the issue; hence you are wasting your money. In fact, go home and open up and take off the outlet cover on an outlet located against an exterior wall. Odds are you will find cob webs and dust which are both signs that things are making their way into them somehow. Now if there are webs present, look closely for movement as you can likely see airflow moving them. You can buy insulation pieces that sit between the wall and the cover to block out the infiltration which will help but you sill haven’t really fixed the issue behind the walls. Don’t be fooled into thinking you need to insulate interior walls as the real benefit to doing this is noise reduction between rooms and not energy savings. Just like wall insulation, attic insulation is a necessary element of every home to guarantee comfort. In fact, it may be more important than wall insulation. Everyone knows warm air rises so an attic that hasn’t been insulated is going to have a lot of energy loss since nothing is there to trap it in. That cold air in the summer, gone. That warm air in the winter, gone. Without attic insulation, you are ultimately left with the same outside air that you are trying to battle in the first place. Cracks being to form in the roof, soffit, and even drywall as any home settles and these cracks allow air to circulate and wreak havoc on your living space. Good insulation also helps the attic breathe properly and not “sweat” which can/will lead to mold, mildew and odors. What is meant by sweat? Cold winter air meeting with much warmer indoor air will create condensation. Condensation building up on plywood or soaking into insulation leads to very negative conditions that can be very damaging to the home and your health if you allow it to go untreated for too long. 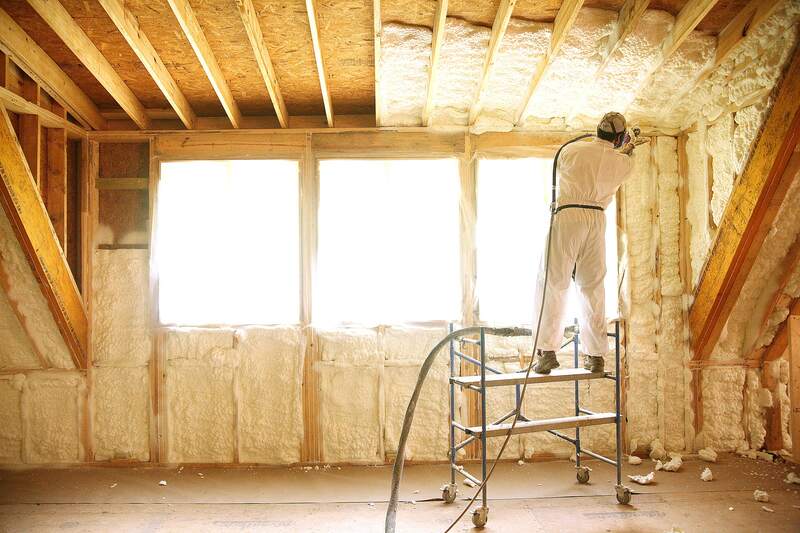 A good layer of insulation batt or cellulose insulation is enough for most but even more efficiency can be gained by spraying the attic ceiling (back side of the roof) with spray foam insulation. Motion sensing lights are great in theory. They only come on when there is actual activity in the area around it meaning you no longer need to worry about leaving on lights. There are two different versions: indoor and outdoor. Indoor is nice because the lights comes on for you when there is motion so you no longer need to feel around for light switches in the dark. Drawback… you should only place these in certain rooms, mostly recreational rooms. If you forget to turn off the motion sensing function before bed then you are liable to move in the night and have the lights wake you up. Pets inside the home may trigger the lights to turn on and off as well depending on how cheap you went; the more expensive switches have become smarter to avoid these situations. The other thing is that the motion sensor typically has a switch inside of it that you set to determine how long the light will be on after there is no motion. This can be seen as a positive but mostly a negative. Positive: you walk into your dark living room for a movie, lights come on, you find your seat, sit down and lights go back off so you can enjoy the movie. Negative: You leave the room and the light stays on while no one is there, you are watching TV and maybe eating so you want the lights on but they turn off on you, the motion sensor bleeds over into another room (for open floor plans) and more. The motion sensor can get a little more chaotic in its outdoor application so placement is key. Put it out front where you or neighbors are and the light will never take a break or it will burn out quick from constant on and off. The outdoor lights can also be very sensitive so the light may be on more often than you would like. Lastly, if the sensor switch becomes faulty like it often does then you will be running the light much more than needed. All in all, motion sensors aren’t always producing the savings you might think but are instead aimed at convenience. 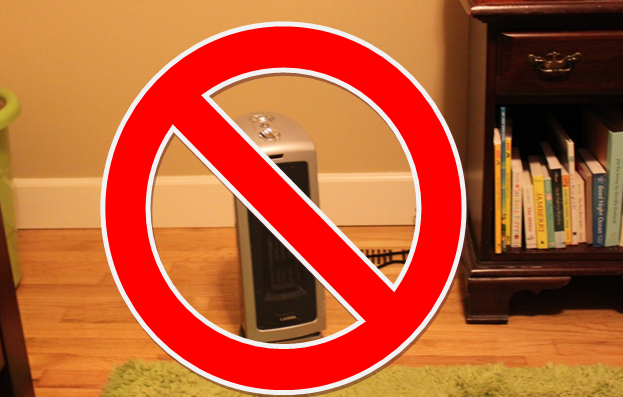 Sure space heaters work but they are an unnecessary product to have in your home. If the duct system is properly sealed, balanced and sized then you will be getting proper air flow to every room. Most homes have an HVAC system that is suffering and holding it back from performing. Instead of resolving the issue in the home (your HVAC system) you have now taken a product that not only costs you up front but continues costing you each month in operation. You could have put that same money towards duct sealing or insulation for a one time cost that will save you money each month. You might find that not only is the temperature throughout the home even and you don’t need the space heater, but that you can now turn down the thermostat a degree or two and really start seeing the savings. Windows have been engraved into everyone’s head as the BIG money saver. They have come up with all sorts of technology to further this claim; more window panes, different materials, built in insulation, different gases, etc. The treat to windows and doors… if they genuinely are of higher quality material then yes, they will help you save money on your bill each month. The biggest benefit you will see in the aesthetics of new windows, functionality and maybe some comfort improvements if they are low-e treated or have that reflective coating to keep sunlight out. But, unless you had terrible sealed windows that were cracked and had no caulk around them, you are not likely to see the ROI for 20-30 years. I just purchased windows recently and I went in realizing that we needed them for functionality and looks, not the savings. My wife wanted to be able to open up the windows during the spring and fall which we couldn’t do with our previous windows because the screens were missing, there were breaks around the tracks that allowed bugs in and even seals between the sashes were missing. So windows worked for us but I will never forget when that salesperson asked how much our utility bill was per month (~$140) and he said we could expect to save 30% with new windows… I immediately pulled out a calculator and called BS (that would drop my utility bill to ~$98 a month), then told him if these windows alone get my bill under $100 then I will be sending him a very nice Christmas present. Needless to say, he won’t be getting a Christmas present but we still liked the windows for everything else and ultimately needed them. Moral of the story, don’t buy on savings alone. Charging blocks are in everyone’s home. They make life a breeze now that everything is practically USB. But what happens when you unplug whatever that block is charging? Well, it’s still using electric. It may not seem like much but it all adds up. If you have the chargers plugged into a surge protector and actually hit the switch to turn off power when nothing on it is in use then you are doing a little bit of good. Unfortunately, most things that you plug in are still drawing electric even when not in use. Keeping with the Halloween theme, this is often referred to as “Vampire Power”, or standby power/ phantom load. Sealing your duct work is one of the best investments you can make, although you probably haven’t even considered it because your system still works the same as when you first moved into the home. Problem is, it more than likely was operating at its full efficiency to begin with and you have just grown to accept things for the way they are. This mindset robs you and your family of many things that a proper system provides; less dust, less pollen, less allergens, less unwanted humidity, less operating expense, less equipment wear and tear, evenly distributed air (no more hot/cold rooms) and more inside of your home. How so? Well the leakage in your duct work is all over and in places you don’t like to be in as it is, including the attic or crawl space. Then you have wall cavities that you can’t even see what’s behind them (dirt, dust, mildew, etc.). We can all agree you probably don’t want to be in any of these areas for longer than you have to as is so why are you ok with having duct leakage in these same areas that are pulling it back into your home anyways? And on the flip side, you are losing conditioned air on the supply side through leakage meaning you are wasting energy (money) on areas of the home you are never in. Duct sealing removes the leakage so your conditioned air isn’t lost along the way and makes it to all the rooms in your home while keeping all the bad stuff out of your duct system and out of your home. Note that there is an asterisk next to trick. This is to annotate that a high efficiency system will most certainly save money over a builder grade or less efficient system; however, it will not produce results on its own. Many homeowners see efficiency and assume results but forget about all the other components that go into its efficiency. For instance, MPG is only as good as the condition of the engine (clean oil, air filter, spark plugs, etc. ), then tire pressure, the quality of gas, etc. The HVAC unit is only as efficient as the duct system around it and the efficiency of the home it is in. If your home is already suffering from things like poor insulation, improperly sized duct work or leaky ductwork then installing a new unit in a broken system will bottleneck the results you expect and leave you with minimal savings; savings that definitely won’t provide you an ROI in the lifetime of that same unit. If your system is properly sealed and sized then yes, a high efficiency system will save you noticeable amounts of money each month. The big trick here is that in most cases you can spend a lot of money on a new system to try and get results or you can invest less into duct sealing and proper insulation to get even better results. One of the best ways to manage your expenses is to invest in a nice programmable thermostat. 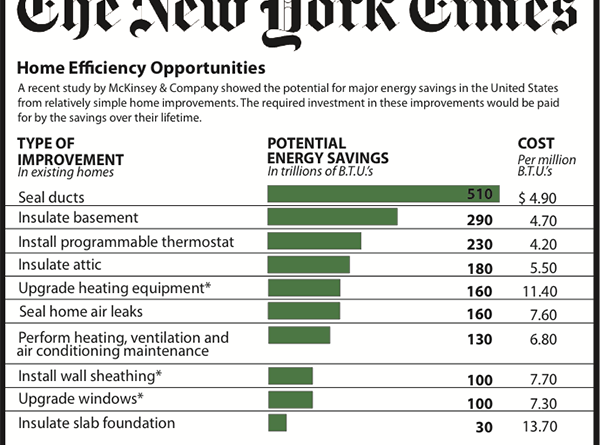 Energy savings are the big bonus but the convenience, to me, is right up there with it. When you think about, the average homeowner isn’t in their home for most of the day while away at work. If you are manually setting the thermostat then you either remember to set it back every morning before you leave or you have it running all day at the temperature you want when you get home. Factor in those mornings where you are rushed and it can easily be skipped. But why are you worried about keeping 72 degrees in the home when no one is there to enjoy it for 8-10 hours each day? Each degree that you reduce demand (up in the summer, down in the winter) you can expect about 1% off your heating or cooling costs. It’s not unusual for homeowners to set their thermostat back 3-5 degrees, or more, when they are away so the savings are definitely there. The convenience comes in the form of not only removing the manual step of setting the thermostat back but you can often times link the thermostat wirelessly which allows you to have control from anywhere. Gone for vacation and forgot to adjust, change it on your phone. The thermostat is across the house and you are too lazy to get out of bed to adjust, change it on your phone. Worried about someone else adjusting the thermostat and running up your bills, fix it from your phone. Some people, not too many that I personally know, try to make an argument for turning up the heat setting on their water heater. The claim is that turning the setting up means that hot water gets to the area (showers or sinks) faster and therefore you are using less water compared to waiting for the hot water to eventually make it plus the water heater wont turn on as frequently when in use since its already hot. None of that is false. The problem is, the electric will cost you more than the water. Properly sized and operating water heaters can take some time to push hot water to different rooms, especially those furthest away, but its fairly minimal when set at even the lowest setting. Say it takes an extra minute to run the water before getting warm which is pretty long in my opinion. Thats not that much water. Where it begins costing you is when the setting is turned up you are calling for very hot water not just for that one shower, or for the sink when you wake up, or in the kitchen when you are cleaning dishes; you are calling for hot water all day long. The water heater will continue maintaining the heat setting when you are away at work for 8-10 hours during the day which is very costly considering its typical location; a basement or utility room. A basement can be very cold, especially in the winter, and you guessed it… the cold air is trying to cool the warm water in the tank. That means the water heater will activate more frequently. Turning down the water heater to a lower setting will reduce the amount of run time the water heater goes through which calls for less electricity and still provides you with the warm water you want. Water heaters are one of the most expensive operating expenses in your home; dont let it cost you more than it needs to. Please share your tricks or treats to saving money or wasting your money. There are many other beliefs out there but the list is too long to include in a single blog. Have a Happy Halloween and stay on top of any potential energy vampires in your home that are sucking the money right out of your wallet.